IS this really the way the War on Terror is going to be won, making a terrorist of everyone and hoping to strike lucky? They handcuff me, hands behind my back, and take my rucksack out of my sight. They explain that this is for my safety, and that they are acting under the authority of the Terrorism Act. IT is often said that the simplest ideas are the best and so it is with PocketMod. Instead of struggling with PDAs, plam PCs and laptop computers how about a sheet of A4 to keep all you notes on? But this is no normal piece of paper this is a highly customised piece of web wizardry that allows you to create a small note pad packed with useful details. 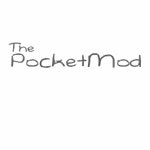 PocketMod works by allowing you to pick and choose different lists, diary types and note pages before putting them together into a mini eight-page, pop in your pocket, booklet. Just have a go and I bet you can’t resist creating one for your friends. IT looks as though eBay may be planning to buy voice over internet firm Skype, bringing a whole new angle to the online auction website. 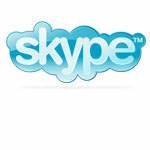 Imagine being able to contact sellers via Skype and ask them questions about an item you are interested in bidding on? Although there is nothing stopping current users of Skype integrating the service into their auctions the deal would allow people to set up the service with just a couple of clicks. The link up will break down the distance that still holds some people back when bidding on eBay, one definitely to watch. UPDATE: Ebay has bought Skype for $2.6 billion in up-front cash and eBay stock, plus potential performance-based consideration. INTERNET giant Yahoo! has been accused of helping Chinese authorities jail a journalist by providing computer information. 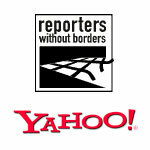 Reporters sans Frontiéres say Yahoo! provided the IP address details of journalist Shi Tao to state police who arrested him and sentenced him to 10 years in prison. THE BBC and ITV are to join forces and provide a free-to-view satellite based television service. Named Freesat it will be launched in early 2006 and will provide similar services to the existing Freeview digital television. 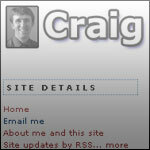 IF you are looking to make your website work hard for you and boost your business then it needs to look professional. 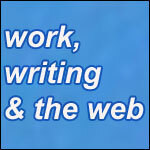 The design and style is something that you most probably take a lot of time over, but what about the words themselves? THERE are many ways that you can get more people to visit your website, often it involves paying for advertisements on other sites. Or another way is to trawl around the internet asking other sites to link to you or dabble in a bit of black-hat search engine optimisation. THE world of computers can be a confusing place so advice and inside tips on getting good deals or improving what you already own are great. PC World magazine offers you ’20 Things They Don’t Want You to Know’ which opens the lid on how companies try to fleece unsuspecting customers. Although it is aimed at US readers the majority of tips can be used in the UK, including how to track down cheap PCs, the questionable value of warranties and simple hacks you can do. A SURVEY from broadband market analysts Point Topic says that some 4.3 million households, 18% of all homes in the UK, have someone working from home. The typical profile of the homeworker that emerges from the survey is of a family person, usually male (more than twice as many males use the internet for work at home as females) between 25 and 54 years old, and with a professional, managerial or technical occupation. Typically they have more than one computer at home and have been using the internet at home for four years, with broadband for two years. The survey suggests that the home worker is a more knowledgeable, security conscious, high spending and demanding customer than the non-home worker. There is a clear regional split with London and South East having more than 30 per cent more people working from home than the national average. And home workers are a demanding lot as some 10% plan to switch ISPs in six months, against 5% of non-home workers.